The school has a special wing which accommodates two dance rooms and three music rooms. 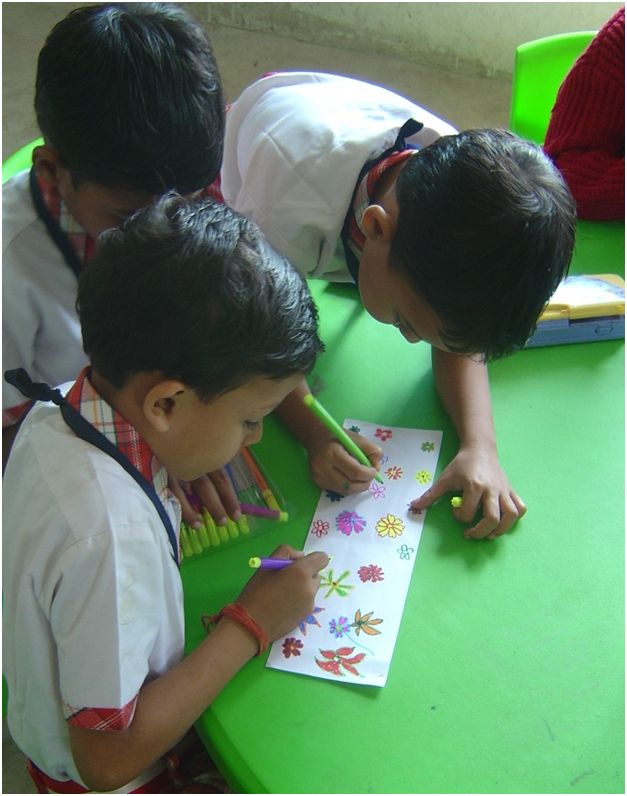 It has two art rooms and two craft rooms as well, with all the required materials and full time teachers. These rooms have secluded sections where students can perform and practice their art in complete peace. The school encourages student participation in Indian Classical as well as Western art and dance activities, with specialized trainers for both. The school auditorium is a large space for continual performance of all the arts, including dramatics. This apart, the school has a separate activity centre for conduction of activities like carpentry, pottery, electricity and electronics and clay modeling, Hobbies like craft, calligraphy, needlework, best out of waste are a regular feature and are compulsory for all students.